Located in Fairbanks, Alaska, this 2720 square foot home is quickly coming together. 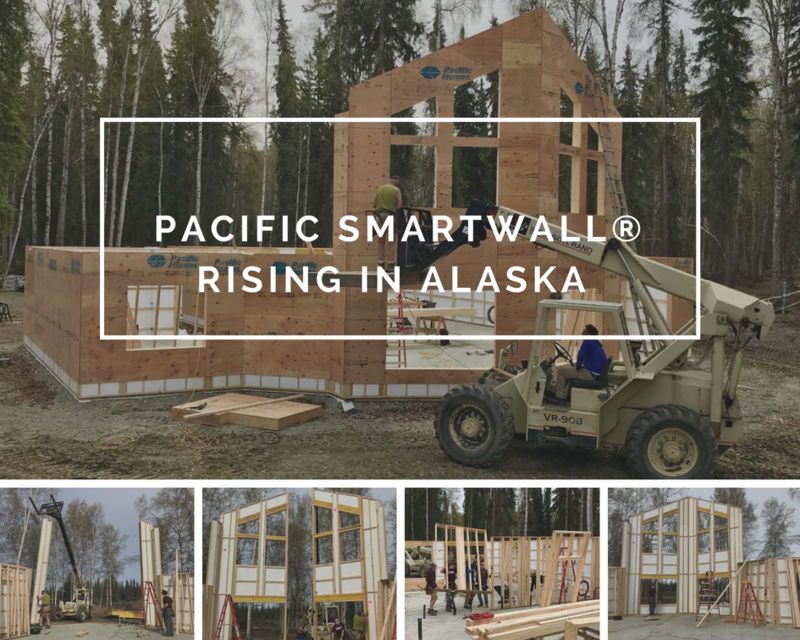 Our Pacific Home Building Package arrived recently and before long the walls were already going up! This family style, two-story home is perfect for the social lifestyle as it features three bedrooms and bathrooms, a two-car garage, an upstairs office and is highlighted by its open social living space. Its kitchen and dining room connect to the outdoor patio and flow seamlessly into the spectacular great room. The two-story great room provides the perfect space for hosting friends and family with its broad windows peering out into the landscape which allows natural light in. We are excitedly following this project as it grows nearer to completion and can’t wait to see the finished project.